The front porch is easily the most important aspect of your home’s appearance and the impression it has on the onlooker. At Ourso Designs, being natives of the south, we LOVE our front porches! There are just a few elements that make up a great front porch. Like every interior space, exterior spaces also need a layer of lighting. General lighting is important; after all, you want to be able to see on the porch. 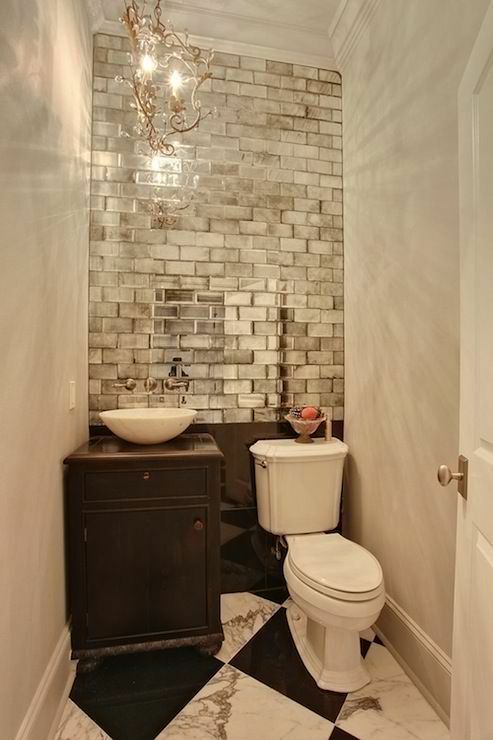 Next, a couple sconces or a center lantern are great for accenting. Finally, task lighting is essential for highlighting important areas of the landscape, like plant arrangements, trees, or lawn fixtures. The secondary purpose of the front porch (aside from it’s utility purpose to provide shelter) is to be inviting. Seating affirms that inviting impression. Another advantage is it gives you (and any guests) an opportunity to relax in an area of your home that lends a different view. Also like most interior spaces, exterior spaces benefit from the addition of plants. Potted plants can act much like accessories. Like layering fabrics and patterns, its important to have plants of different shapes, sizes and textures on your porch.This will create a pleasing overall aesthetic. Finally, color! Many add a pop of color by painting the front door an eye-catching color. Not a fan? That’s okay! There are other ways to incorporate color: in your plants’ pots, the plants themselves, and seating and seating accessories (pillows/cushions), just to start. Another option is to incorporate an outdoor rug. “Color” doesn’t necessarily mean it needs to be bright; producing contrast among existing materials is just as effective as having a bright red door. 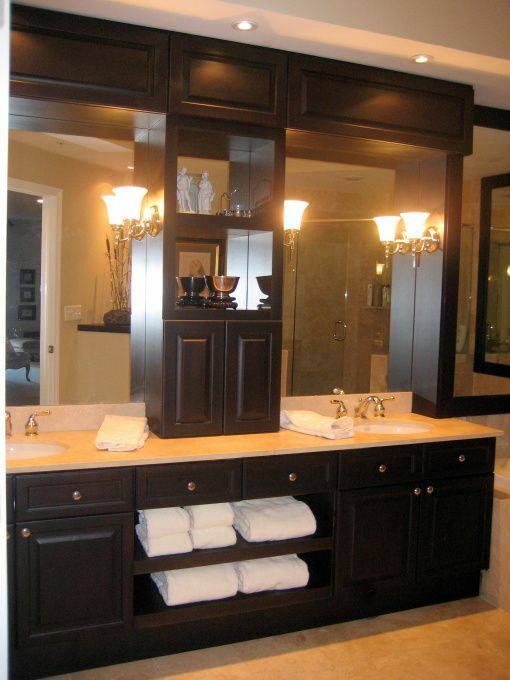 Like Kitchen Design, Bathroom Design has changed dramatically in recent decades. 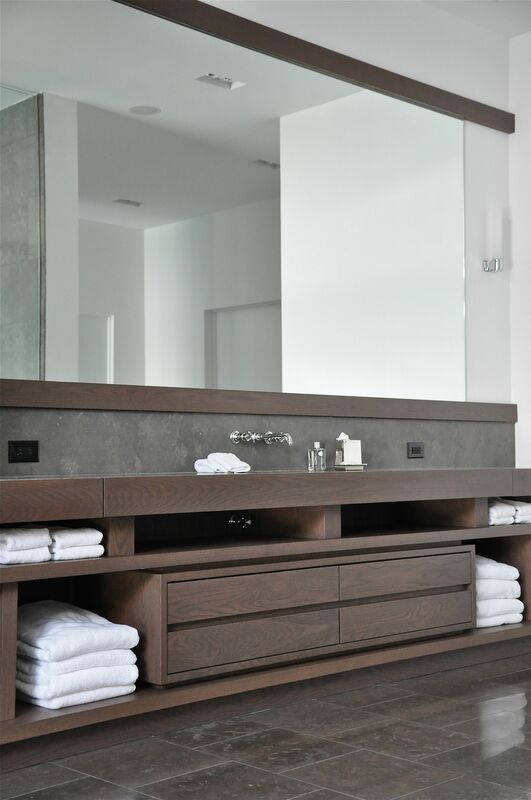 Bathrooms, especially Master Bathrooms, have become far more than the simple, utilitarian room they once were. 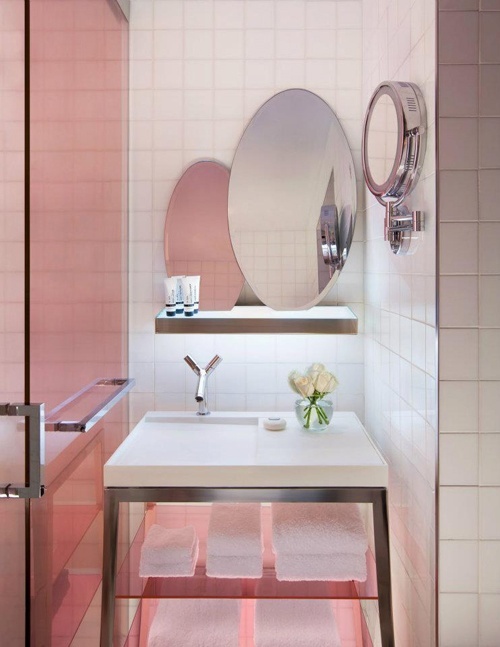 They have evolved from the simple, white tiled, sanitized spaces into personal retreats and at-home spas. 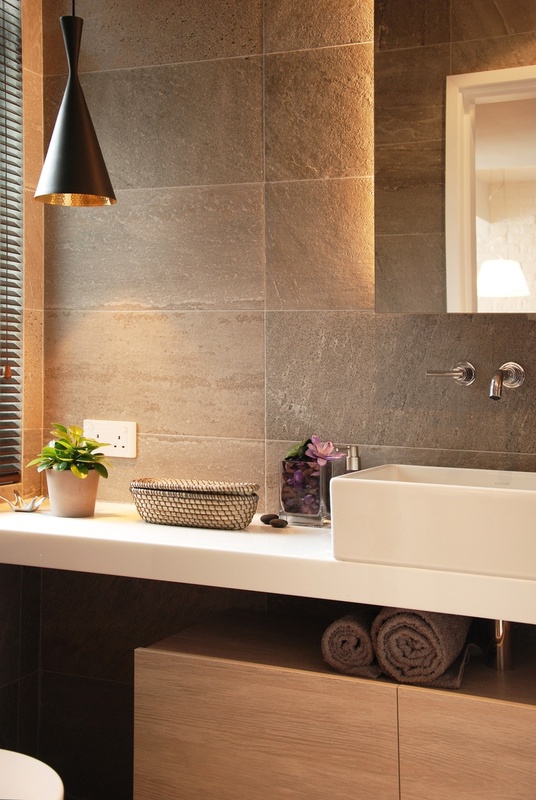 And like everything you might design in your house, designing a good bathroom requires planning, good information, and careful thought. 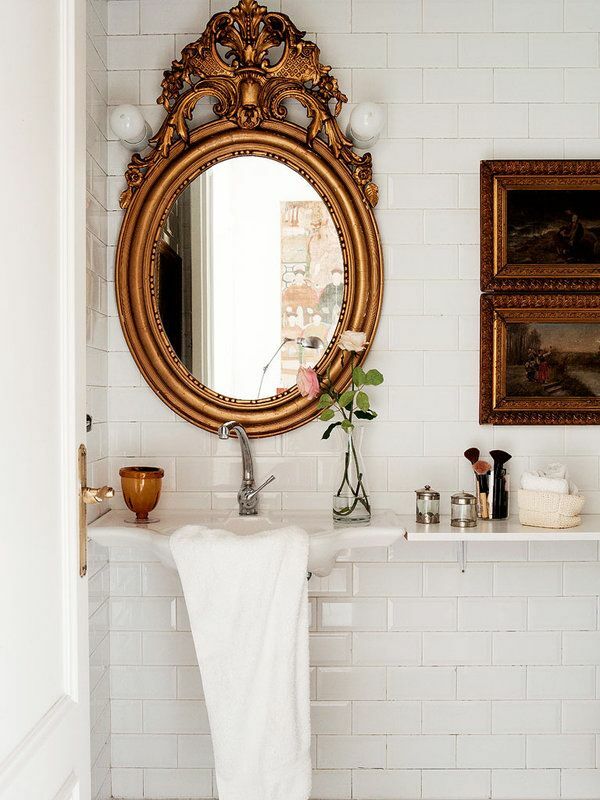 Using antique mirrors can create a unique feature within a bathroom and brings a sense of depth design wise. 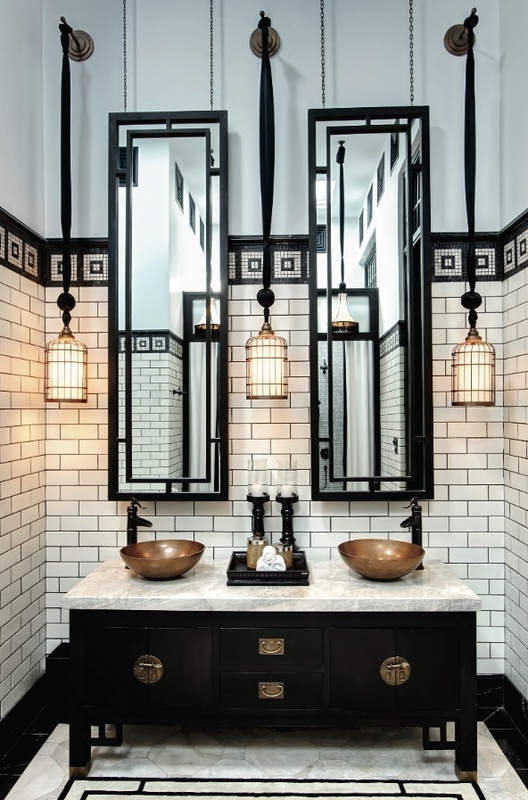 Using ornate mirrors is balanced out with modern details. Adding a tower between two mirrors gives the illusion of separate space. It also offers up more storage. Taking the tower up to the ceiling can make the room look larger. 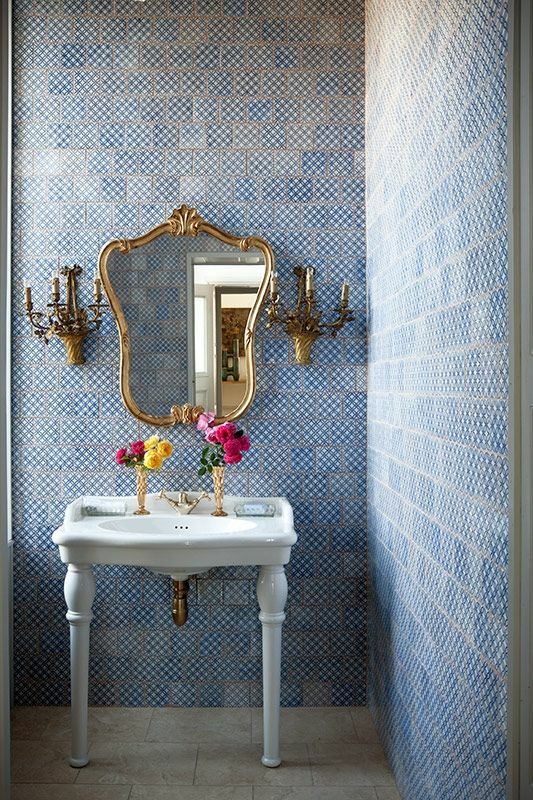 Mirror tiles are gorgeous but tricky to use. If used improperly they look dated. 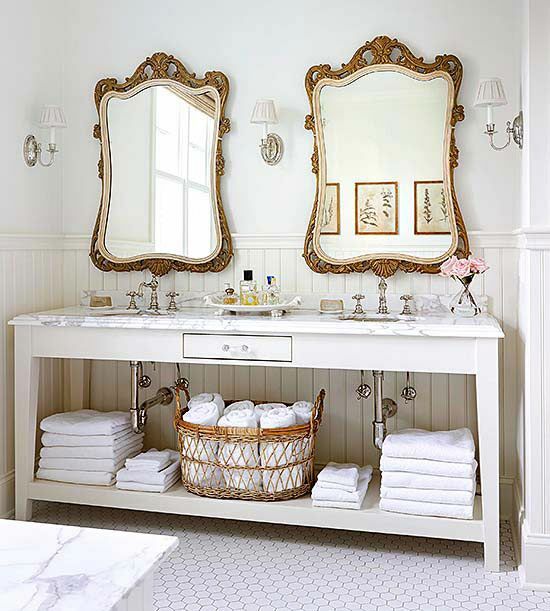 Make sure to bring in traditional/elegant details when using the mirrors. 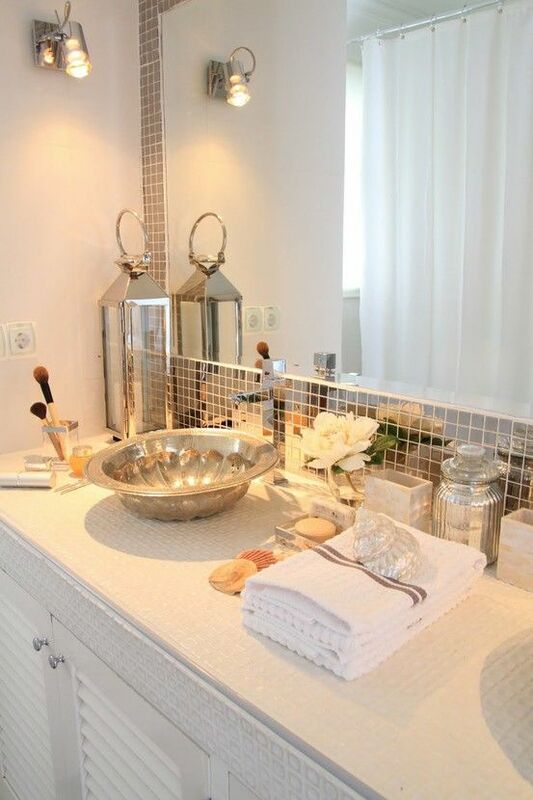 Using these elements will soften up the look of the mirrors. Who doesn’t love a room flooded with light? 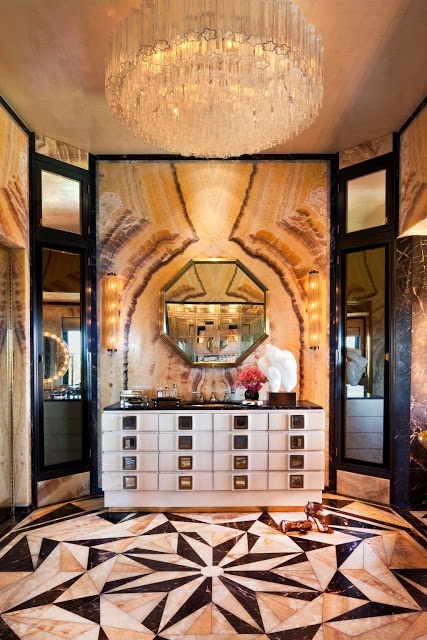 These bathrooms are fabulous. 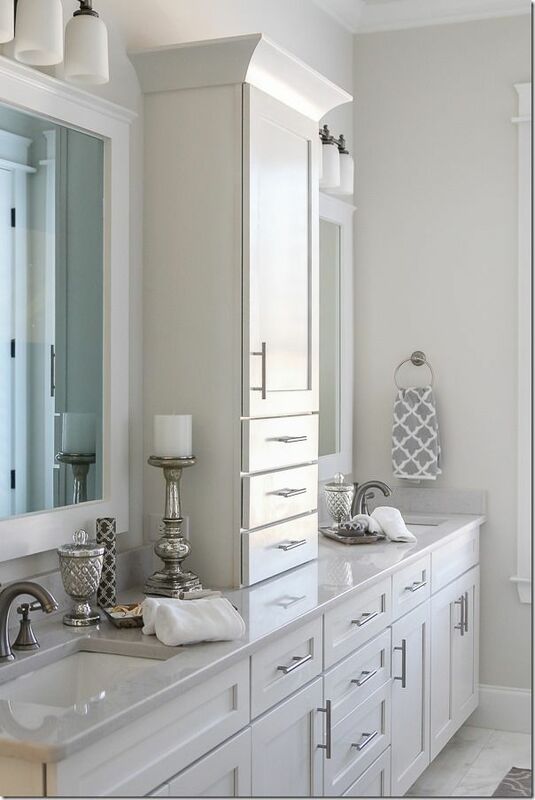 Stationing your vanity and mirrors in front of a window means that there will be other details that need to be well thought out and addressed before hand. Some of the concerns would be privacy, plumbing walls (and concealing that from the exterior view), mounting and weight of mirrors, loss of potential storage areas, window coverings, etc. 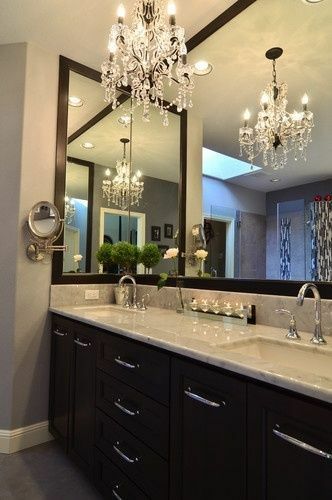 Mounting lights on mirrors is definitely trending. 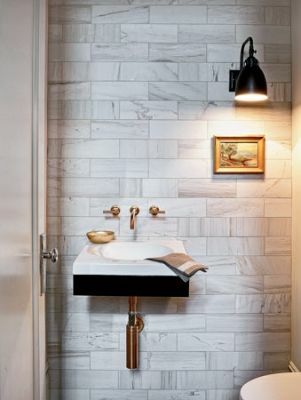 We love this look for many reasons, one being that it almost doubles the amount of light in the room. 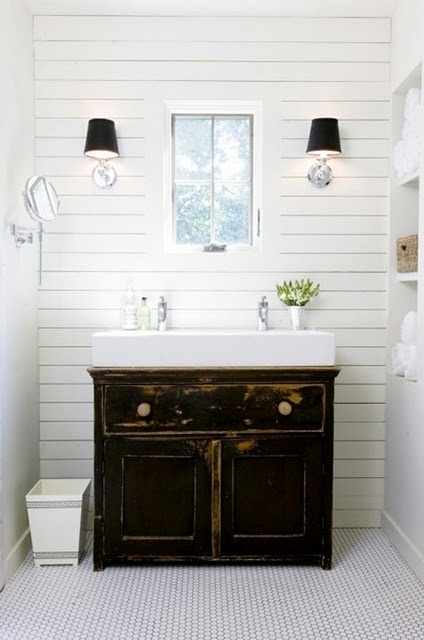 Wall-mounted sconces, with the combination of an overhead light, such as a can-light, is the best way to light a bathroom. You get flattering light. Another article on lighting is coming soon. 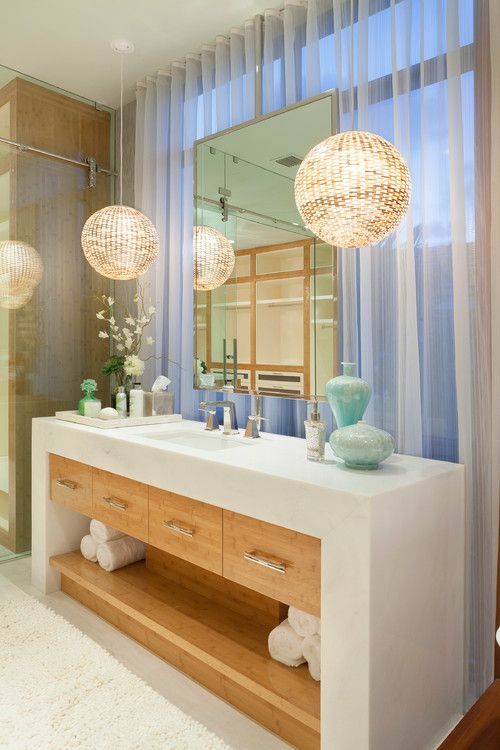 Back-lit mirrors are most often used in modern or transitional spaces but bring nice ambient light into the room. The key to a successful lighting design is to design in layers. 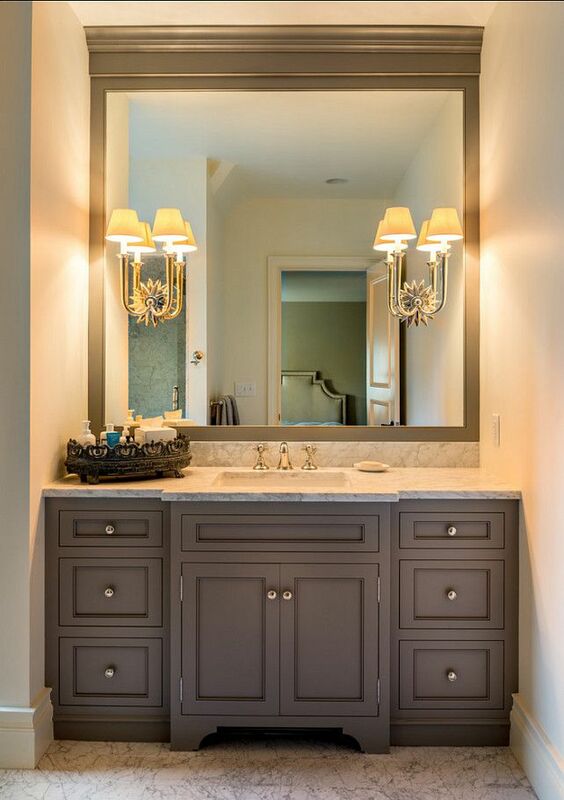 Most of these types of lights double as medicine cabinets for storage. This is an interesting option for those who easily tire of their decor and would like the option of easily changing things around. 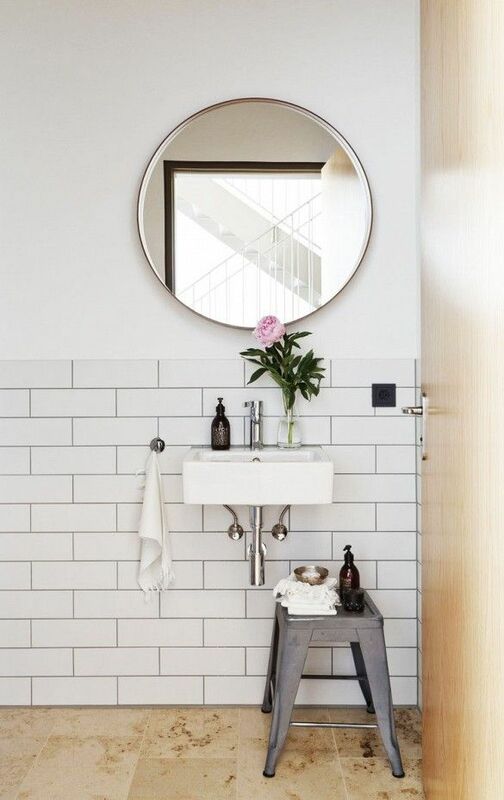 You can rest mirrors on the ledge with the combination of other framed pictures, decor items such as plants and vases, or necessities such as toiletries. 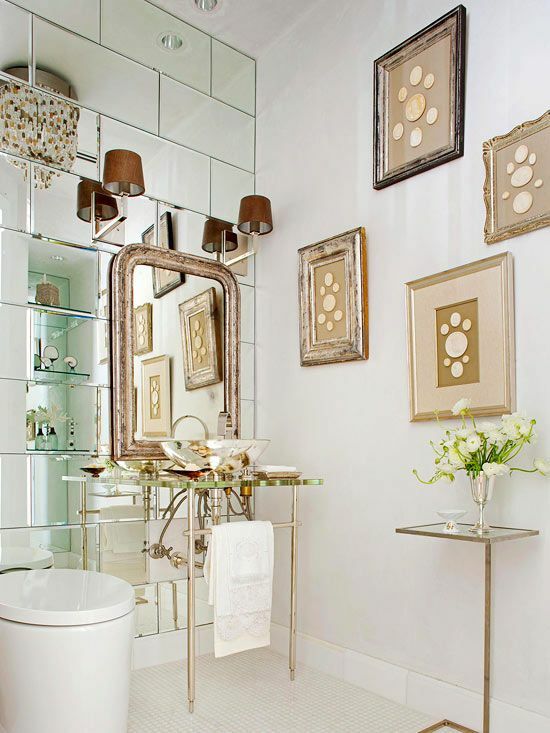 Making your mirror a focal point is another fun option. Just be careful that you let the eye rest at some point. What we tell clients at Ourso Designs is that when you are designing a room you want to minimize your statement pieces and maximize your “background” pieces. Without doing this you will either end up with a room that is dull or a room that is so distracting that nothing stands out. 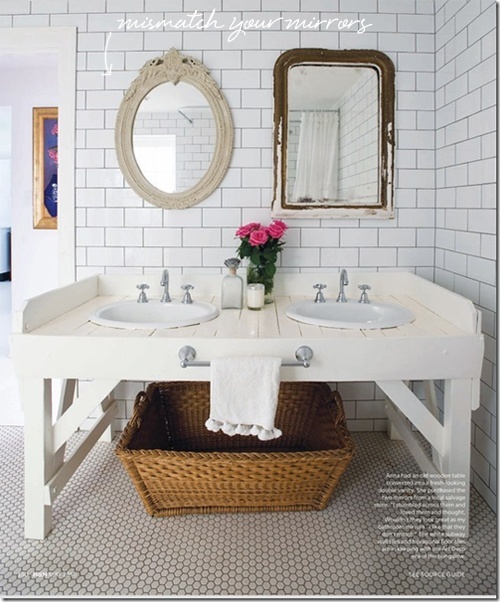 Mounting a mirror from a ceiling really creates a vintage/industrial look….it almost reminds us of old timey toilets. 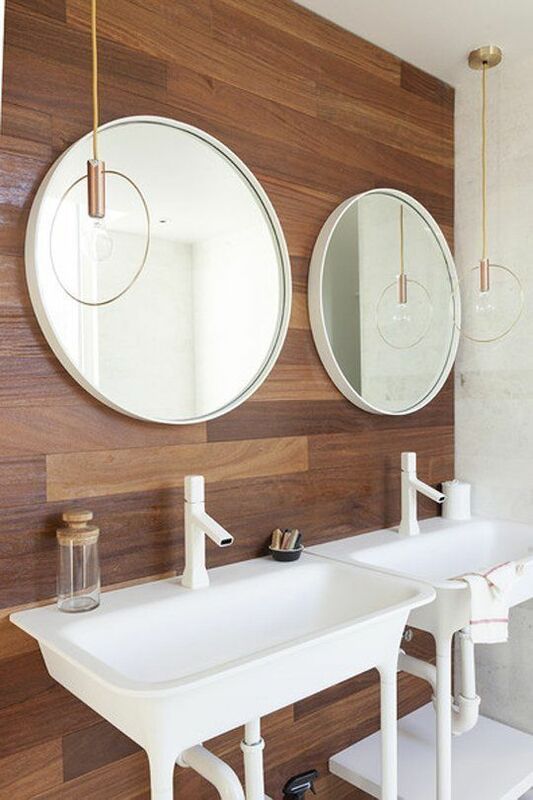 Nothing makes a room feel larger than a wall mounted mirror. Having a large mirror of this size really makes your vanity space versatile. It doesn’t limit you to standing in front of the sink to do your make-up. A mirror of this size could be a great option for a family with multiple kids of a close age (especially teenage girls!). Wrapping a mirror around a room can be extremely effective in making the room feel larger but also reflecting and bouncing light around. 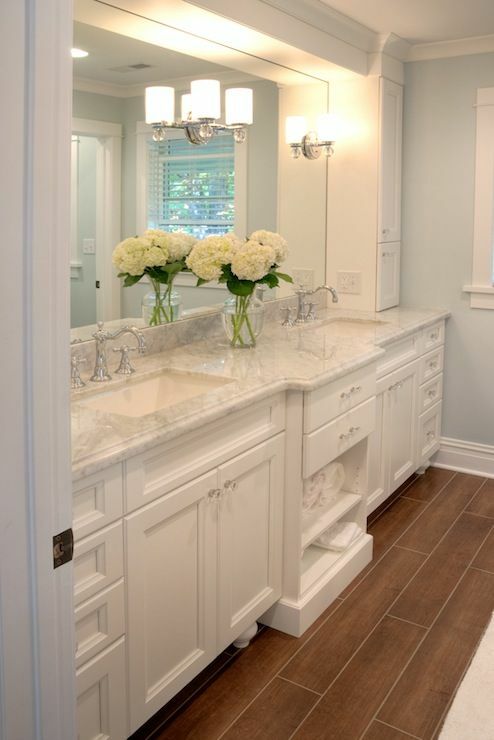 Be careful when designing with mirrors in this sense as it easy to make the room look dated with too many mirrors and off finishes. 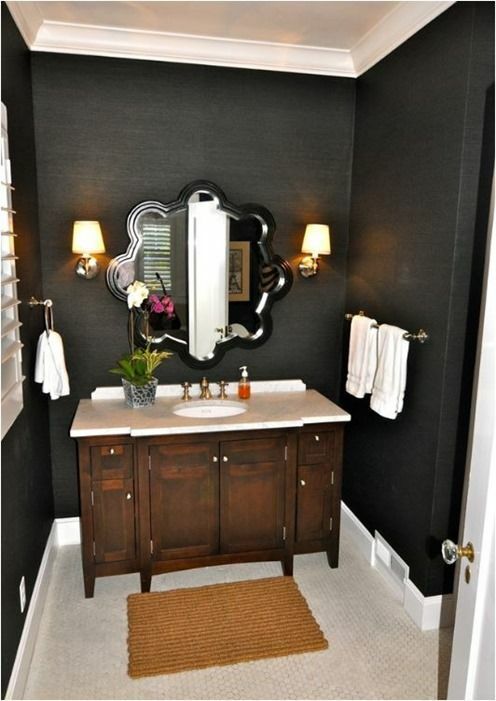 Recently there is a trend to skip the mirror in a powder room. 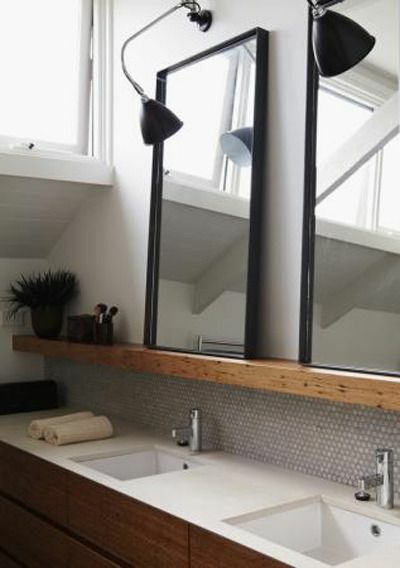 Rather than cover a window, people are focusing the design of the bathroom around the window. Replacing a window completely with a mirror looks beautiful in the daytime but can tend to look like a black hole at night (as windows so often do without treatments on them).